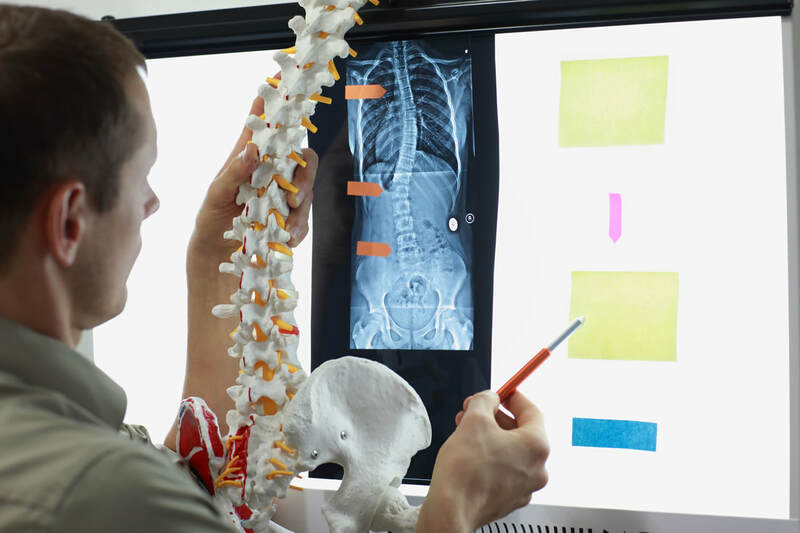 During your first visit to Spinal Correction Center, you'll receive your chiropractic consultation. We'll examine, diagnose, and provide treatment options for your condition. After your initial exam, if there are positive orthopedic findings, Dr. Mulvaney may want medical imaging to reveal any internal structures hidden by skin and tissues. Medical imaging allows us to provide a more accurate diagnosis of certain medical conditions. Although you can take that prescription anywhere, we offer low-cost, in-house medical imaging ourselves. We do everything we can to speed up the process and provide more accurate diagnostics, bringing you convenience and improved results. If imaging is ordered during your consultation, Dr. Mulvaney will spend some time looking at your images with you to make certain you understand any report of what was found or any intervention or correction he is recommending. Providing medical imaging in-house means there's no need for you to visit another professional at another location to ​receive a diagnosis of your condition. This makes for a smoother and quicker experience during initial diagnosis. It is a goal of ours to provide every patient a fun, knowledgable, and helpful experience when visiting our clinic. Medical imaging is one way we do this. Not only does in-house medical imaging speed up the process, but it also gives us the opportunity to provide more accurate results. With medical imaging, Dr. Mulvaney can see more beneath your skin and tissues, providing a more detalailed image of your condition. This extra information helps us understand what otherwise ​couldn't be seen. We use this information to give our patients quicker, better, more accurate diagnostics. Dr. Mulvaney will sit with you, show the results, and help you understand the findings. Give us a call today and our team help you understand the treatment options available to you so you may experience pain-relief as soon as possible.